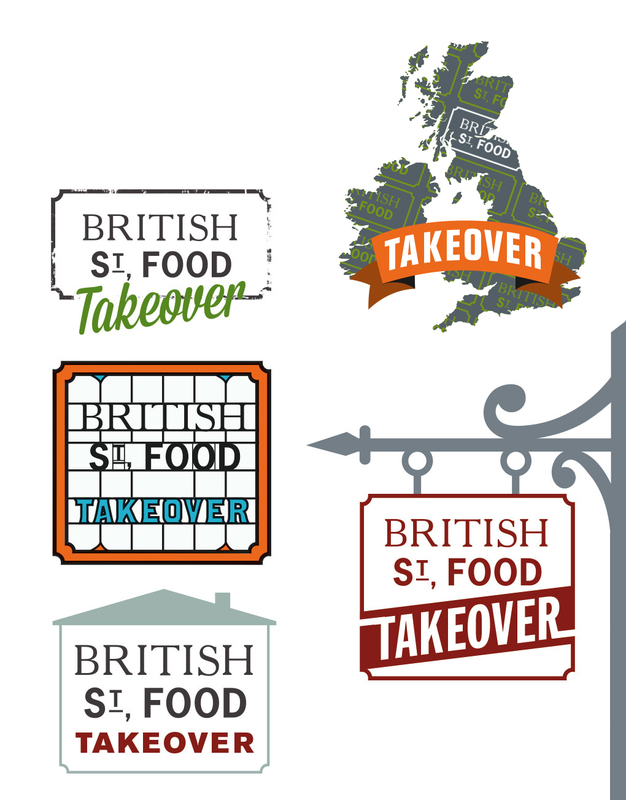 We were approached by award-winning journalist and broadcaster Richard Johnson to redesign the British Street Food website and create a complete identity for an exciting new arm of the organisation; the British Street Food Pub Takeover app – described as the Tinder of the Street Food world! Our first response to the website was food envy and consequently we began the project with a hearty lunch – the content of the site is quite frankly delicious! Armed with a full stomach, we could then focus on the task at hand – taking time to carefully analyse the existing website and asking ourselves ‘How can we make this complex thing clearer to the public and more manageable for the client?’ After careful consolidation of information, clarification of navigation and design, we have designed, built and launched a brand new website. Click below to visit the new British Street Food website! 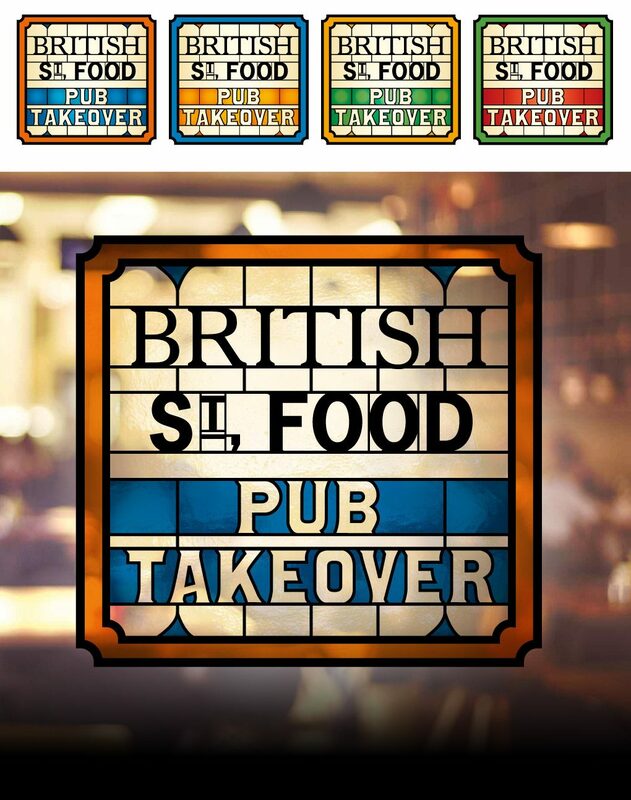 We had real design fun with the Pub Takeover logo. The British Street Food logo has taken on a number of guises over the years and we were mindful to leave the typography of the logo untouched but to create an environment around it which communicated the idea of British Street Food ’taking over’ Pubs around the country. The chosen idea was inspired by stained glass. As the British Pub is such an iconic establishment we wanted to embrace features that were familiar to us all and conjured up the feeling of a traditional pub. This was developed further by adding some subtle glass textures and exploring various colour palettes before agreeing on this solution.